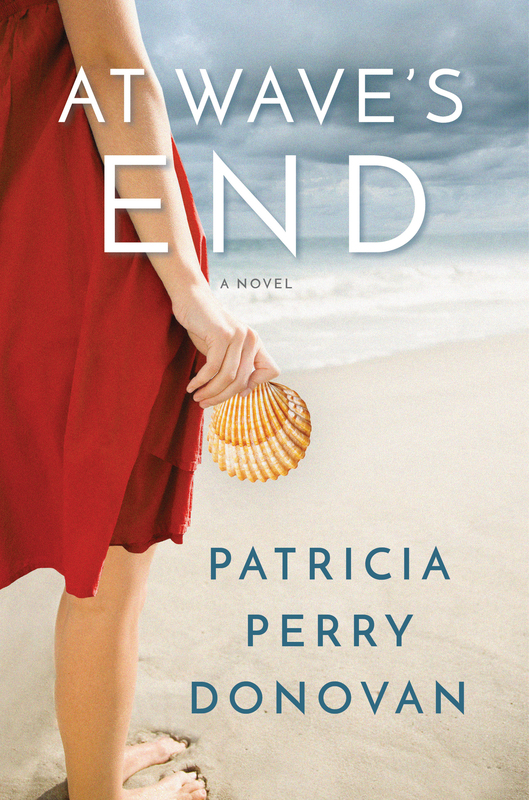 Author Patricia Perry Donovan new book AT WAVES END came out this week. Patricia sent me a copy a few months back and I really enjoyed reading the characters who have to struggle with the aftermath of a hurricane that hits the Jersey shore. Something many of us on the East Coast also suffered through. During this dark time the main character discovers things that were missing in her life. A nice story of survival and hope. All you have to do to get in the running is to leave a comment. Reblog, tweet, or talk about it on Facebook with a link and you will get additional chances to win. Just let me know the other things you did to share the good news, so I can put in the right amount of tickets in my basket for you. Check back to discover the winner. My journey to AT WAVE’S END began several years ago, when a friend told me she was thinking of entering a ‘Win a New England Bed and Breakfast’ essay contest. Ultimately, she did not enter, but the thought of taking a life-changing risk like that intrigued me. What would it be like to be handed the keys to a whole new life? Although I did not know it then, this contest would provide the framework for my second novel, fueling Connie Sterling’s thirst for adventure and her desire for the fictional Mermaid’s Purse inn. The contest also would spark conflict between Connie and her adult daughter Faith. At the same time, I had become fixated on a lovely, tarnished gold locket that had languished in my mother’s jewelry box since I was a child. It had belonged to one of her aunts, she told me. (My maternal grandmother was the eldest of 18 children.) My mother gave me the locket several years ago, and I began to wear it. Its unique design prompted frequent comments, so I decided to use it as a talisman for Faith and Connie’s relationship in the book. By now, the structure and conflict for my as-yet-untitled second novel had begun to gel. Then, Hurricane Sandy struck our Jersey Shore community in October 2012. When Sandy hit, I was in the midst of polishing my debut novel, DELIVER HER. Our home was spared, but we lost power for nearly two weeks. During that time, and for months that followed, we volunteered wherever we could. I wrote a few short stories based on my experiences or those I heard about. Some of these ultimately inspired events in AT WAVE’S END. In the storm’s aftermath, survivors suffered long delays for insurance adjustments and funding. In the meantime, however, they needed to eat. Churches in town became information and support centers where those affected could gather, eat and recharge. Food provided sustenance and comfort. It seemed only natural, then, to make both the protagonist Faith and the secondary character David chefs, and to give them ample chance to show off their culinary skills. At last count, there are more than sixty references to food in the book! Having safely delivered DELIVER HER to my publisher, I returned to book two, which still lacked a setting. But with the storm’s devastation fresh in my mind, I knew there was no other place for Connie’s ramshackle inn than at the Jersey Shore. The fictional Mermaid’s Purse seemed the ideal shelter for this cast of disparate characters to recover—and for Connie and Faith to repair their relationship. Patricia Perry Donovan is an American journalist who writes about healthcare. Her second novel, AT WAVE’S END, arrives in August 2017 from Lake Union. Her fiction has appeared in Gravel Literary, Flash Fiction Magazine, Bethlehem Writers Roundtable and other literary journals. The mother of two grown daughters, she lives at the Jersey shore with her husband. Connect with her on Facebook at https://www.facebook.com/PatriciaPerryDonovanBooks/ and on Twitter at @PatPDonovan. Thank you Patricia for sharing your book and journey with us and allowing one lucky winner to enjoy your book. A wonderful follow up book to DELIVER HER. What an intriguing plot! And the back story is wonderful, too. I can hardly wait to read it. This sounds like an excellent story and one that many of us can easily relate to. Thanks for the chance to win a copy. It will be read many times at our house.